The Sailor Riding to Portsmouth, Carington Bowles, 1782, British Museum. 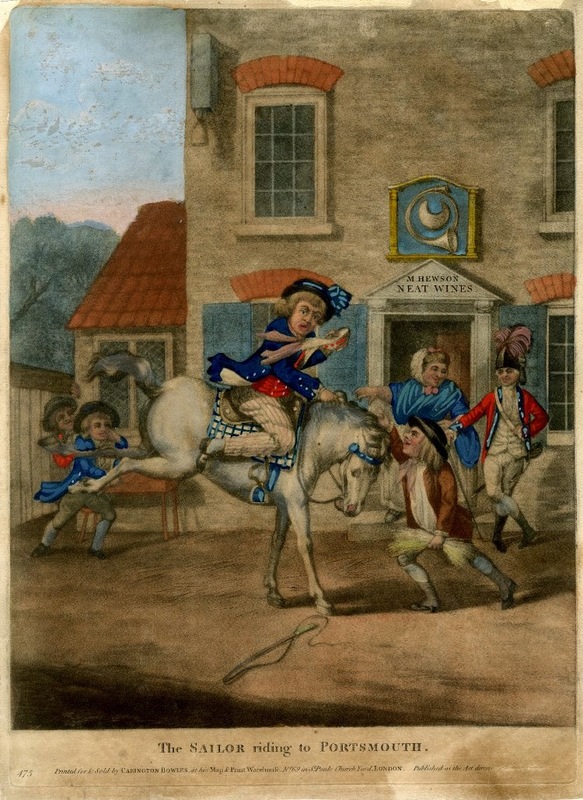 In yet another print echoing the stereotype of sailors being awful equestrians, a frustrated (or terrified) jack sits astride a bucking steed, spilling his bowl of punch. Surrounding him are laughing men, including a red coated soldier. The sailor wears a black round hat and a short brim with a large blue bow. Bowles was terribly fond of putting blue bows in his sailors' hats, but he was not the only one. The tar's white lined jacket ends at about the top of the thigh and is fitted with white buttons on both the front and the open mariners cuffs. 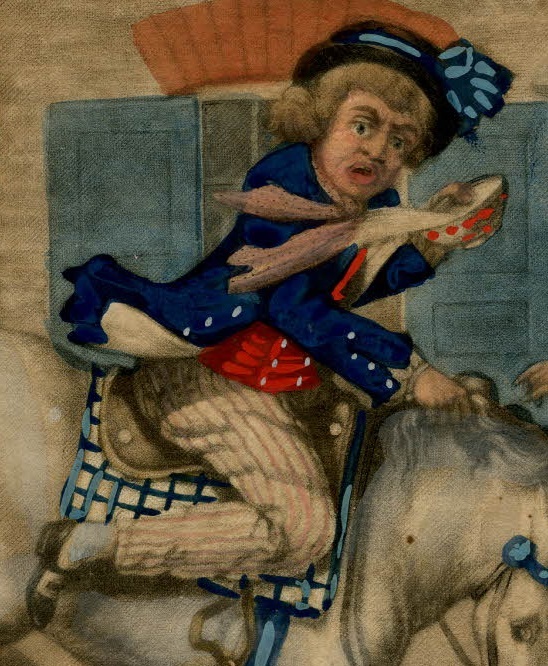 The neckcloth that sways with the bucking horse is a very light red or violet and spotted, contrasting with the bright red double breasted waistcoat. Jack's trousers are narrowly striped in a pale red. Having lost the stirrup, the seaman's feet are kicked back, but he's managed to keep his black shoes with rectangular buckles on.